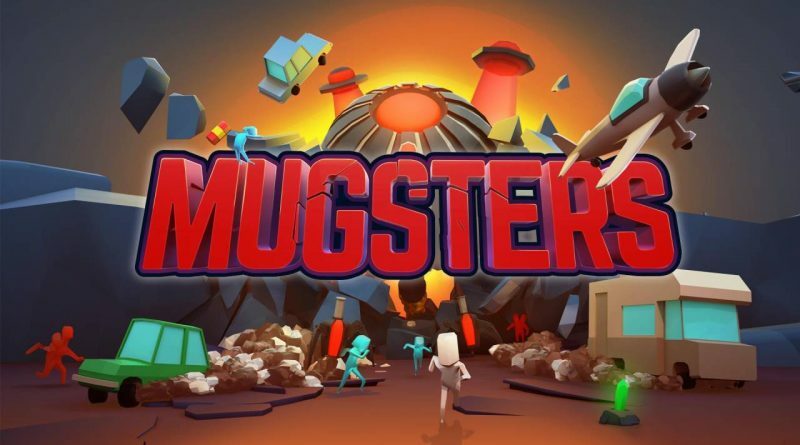 Team17 and Reinkout Games have announced that Mugsters is available now on Nintendo Switch priced at $14.99 / €14.99 / £9.99. Tackle a variety of dangers across a series of ingenious levels. Watch out for alien abduction rays, rocket turrets and a myriad of traps whilst escaping the pesky invaders, who are forever on your heels. Experiment with a physics-based, sandbox environment. Complete your objectives as you see fit and throw in a few exploding barrels for good measure. With more than 30 types of vehicles at your disposal; you can ram, lance, shred and shoot your way to freedom as you sock it to the extra-terrestrial terrors. It takes brains to survive these hostile islands. Use a mixture of explosives, traps and vehicles to save the humans, collect crystals and get the hell out. Just try not to run yourself over! Team up and take on this world-dominating menace with a friend. All the single player campaign missions are fully remixed for full two-player local co-op action!